New in 2018 we are opening up the process of deciding panel discussion topics to the SWAT4HCLS public. We have already we have listed 13 fun topics from a brainstorming session. We want your input on these topics in the form of likes, and comments*. You can also recommend panelists for the topic. Specifically we want your topic suggestions too, so you can add additional topics for others to like or comment on. The overall goal is to engage you is a dialog and together discuss topics of interest to our community leading up to the event in December. You can tweet this panels page to your friends. Join the discussion ! *The comments will be moderated for unsavoury language / obvious SPAM by a SWAT4HCLS organizer. very interesting topic. Enough for me to pay a visit. “All data” sounds too much of an hyperbole, but I think this makes the topic even more relatable. A little of bit of number of datasets estimation in some field, as a Fermi problem, could be an interesting starting point for this session. This is a very tricky as we may fail future generations both by limiting too much data use because of privacy policies, or on the other hand, not being bold enough in their use missing important discoveries for the coming future. Failed or not I don’t know. But definitely there is a trade-off between privacy (individuals’ goal) and the ability to mine aggregated information (community’s goal). I think this is an interesting topic. At the same time, I go against the topic statement. Semantic publishing of data supporting scientific articles and Semantic publishing of experimental data is definitely leading to a more transparent and reproducible science. Data is the only proof to all the claims in a publication. Data in life sciences has evolved from excel sheets to databases and to linked data graphs. Semantic fairness of data is a way forward and gives power to do scientific discovery via machine-readability and usability of ML and deep learning. Make this happen and invite a couple of selected refused papers and another pair of reviewers to also review the paper. Let them discuss their different perspectives. Panelists can wear invisibility cloaks and use voice changers to keep reviewer identity private. Alternatively just ask reviewers to accept that their reviews and identities will be made public. Don’t some publishers already do this ? If FAIR data is so valuable, why don’t we have companies that make data FAIR as a business, and other companies willing to pay for that? 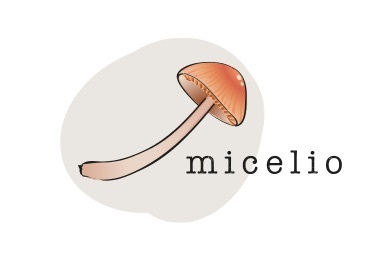 Micelio already does but other companies that pay for it …… ? Can’t see why not. Maybe a corollary discussion would be on business models for cleansing data. Very interesting topic. Building SPARQL queries over multiple data graphs is indeed horribly complicated. The big question here is how can we mine information from a data graph without knowing the nitty gritty details about it. Ten simple rules to make the best Linked Data that we can! Examples of good linked data resource and how you can be one too. Add some smart linked data reuse use cases. I am expecting a comeback for formal logic and ontological knowledge bases, I’m personally very wary of NNs. What will we have first? The Semantic web publishing egg or the AI assisted data integration chicken? Contact us for support details.